A faulty hard drive can cause serious problems with your data, hiding, corrupting or apparently losing important files. The problem hard disk is unable to access the documents you’ve stored on it, either because of a software problem or because the HDD (hard disk drive) itself has developed a hardware issue and needs repair. If this happens to you, don’t panic. In many cases, it’s possible to recover files from a faulty hard drive, either by physically repairing the HDD itself or by running software fixes. A software problem occurs when folders required to run your program are accidentally deleted, or when the software itself becomes corrupt. Uninstalling and reinstalling the program, if you have the disks, may restore the files automatically: once those folders are back on your hard drive, recalling all the files you have stored there should be easy. Unfortunately, many software related hard drive issues are more serious, and will require you to close the drive down, clone it using Linux, and recover the data using commercially available programs like Recuva (from the guys who brought you CCleaner and Speccy). Your computer uses the hard drive to perform everyday operations, which means it’s constantly writing temporary files to available free space on the hard disk. If you’re losing data from your HDD, your computer won’t be able to tell that there are already files written into a partition, and will treat them as free space to be written to. Every time your computer writes to a space on the hard drive that’s actually full of lost files, those files will vanish forever. Hard drives are complex beasts, and inevitably they go wrong. The various components in the HDD are subject to overheating and mechanical issues (most of which present as clicks, whirrs and grinding noises). If the platters (these are the disks in your hard drive, which the computer writes to) stop spinning properly, or the PCB (printed circuit board) interface stops working, you’ll experience malfunctions or total loss of the hard disk in question. The question is, what’s your hard drive doing (or not doing)? Most mechanical problems are beyond the skill of a non-professional, though even here that doesn’t mean your precious data is lost: just that you’ll have to get professional assistance to get it back. If your drive is completely dead (i.e. it doesn’t spin into life when it’s supposed to), you’re probably having issues with the PCB. Replacing a dead PCB for a live one may well kick the drive back into life again. For all other issues, such as a clicking drive or a drive that is recognised by the computer but doesn’t work, you’re probably faced with faulty heads or a failure in the disks themselves. Beeping drives indicate that he read heads are stuck to the drive platters: in this instance you will definitely need a professional lab to open your hard disk and solve the problem. Repairs can be made to a hard disk in even the most serious mechanical or software failure. It’s not always possible to make a full data recovery, but you should get at least some of your important files back. This article explores the diagnosis and repair of a faulty hard disk. If your HDD is making strange noises, is no longer recognised by the computer or is beginning to have trouble saving or recovering files, turn it off immediately and read on. The most common faults with hard drives are hardware related, and can be anything from a failed circuit board to issues with the disks themselves, the heads that read them or the firmware that runs the drive. In some cases, it’s possible for you to repair hardware issues at home (for example, if there’s an issue with the circuit board you can simply replace it): but most common hardware issues require professional assistance. Some hard disk problems are caused by software errors. It’s possible to recover data from a corrupted hard drive by making a mirror image of the drive using a Linux based program, and running fixes to the new drive. Data recovery is a complex and time consuming operation, but in the majority of hard disk failures it’s possible to get at least some of it back. If you have software problems, you may be able to get all of your files returned. 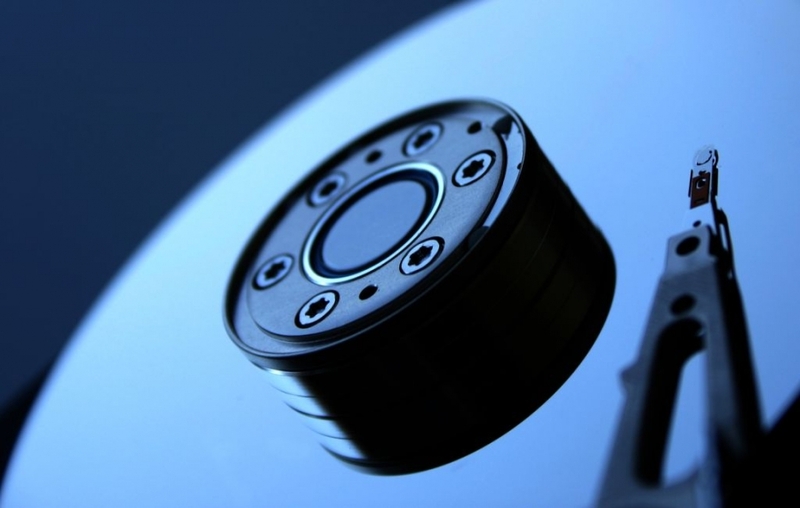 Hardware problems, particularly where physical damage has been done to the disks themselves, are less likely to result in full data recovery.